The company has recently revealed its new M320 and M340 chips, dual and quad core systems that pack in 150Mbps LTE radios. Broadcom says the chips will allow manufacturers and smaller handset company's to offer 4G in entry level, low-cost devices in the sub $300 range. The new SoCs come with full Android 4.4 KitKat support, HD voice and graphics, and have already been validated on more than 40 networks in 20 countries. 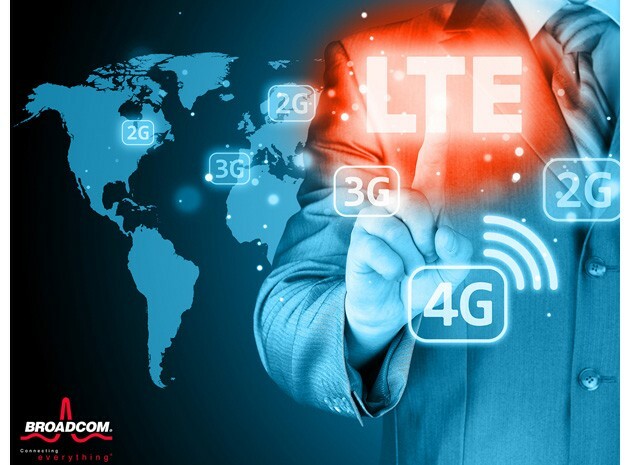 "By offering a turnkey LTE design with 5G Wi-Fi, Bluetooth, location and near field communication (NFC) technologies, Broadcom is enabling consumers around the world to experience faster browsing, shorter download times and more reliable video streaming at unprecedented price points," Broadcom said in today's press release. At this point Broadcom hasn't given any details as to when devices with this tech will become available, nor has it named any handset companies it is working with yet. All we know so far is that it has shipped out sample units to what it is calling leading manufacturers, likely in the entry-level market.